Today Weston MP John Penrose has responded to the Police & Crime Commissioner’s request for views about local crime-fighting priorities, saying the fight against drug crime and managing Weston’s late-night bars and clubs should be top of her list. John Penrose said: ‘We’ve made huge progress in dealing with drug crime in Weston, but we can’t stop now. The number of rehab beds in our town is almost half what it was a few years ago, and the ones that are left are much better, so addicts have a good chance of getting clean and local residents don’t have to worry about them committing crime to finance their habit. ‘It’s been a big factor in Weston’s steadily-falling crime rate over the last few years, and it hasn’t happened by accident. It’s taken dedicated, co-ordinated teamwork from the local Council, health and police to get this far, and I want to make sure the Police and Crime Commissioner understands how vital it is that we keep it as our top crime-fighting priority. I welcome the Police & Crime Commissioner’s efforts to review the way our local police is working and wanted to outline two principle priorities in Weston and the villages. One of the principle policing issues in Weston has historically been drug related crime and, thanks to co-ordinated efforts from local Council, health and police (through Operation Jupiter more than 10 years ago) we’ve made huge progress. At its worst, Weston had 11% of all rehab beds in the country which, for a town of Weston’s size, meant our density of rehabs per head of population was not only the highest in the UK, but was several times higher than our nearest rival. That created an unsustainable and unfair burden on local services (mainly health and housing) and had a seriously negative impact on local crime rates too, with Weston police estimating that over 90% of our acquisitive crime was drug-related, principally from addicts stealing to finance their habit. The problem was partly caused by Councils and probation services in other parts of the country referring addicts for treatment in Weston in low-quality rehabs, often without informing local housing and health providers here, and without a satisfactory programme of post-treatment care. This significantly increased addicts’ risk of relapse, and of the referring agency losing track of them, so they ended up as the responsibility of local service providers (and their budgets) instead. But it was also caused by a proportion of local rehabs and associated ‘halfway’ or ‘dry’ houses being unacceptably poor quality, which made them dangerous for addicts who were more likely to relapse, and difficult for local communities as they became crime hotspots. Operation Jupiter identified the 20 worst addresses as being major users of emergency services (mainly police and ambulance) as a result. After a more joined up approach, which involved a lot of help and support from the Council, the police and local health services, things have improved dramatically. The number of rehab beds has dropped by almost half, and the worst rehabs have either cleaned up to match the (already high) quality of the best, or closed down. There are many fewer addicts coming to Weston, and those that do have better chances of coming off drugs and staying clean for longer, and our acquisitive crime rate has been falling steadily as a result. But even though the situation has improved significantly, the problem isn’t yet completely solved. The density of rehab beds per head of population is still very high (our latest figures show one for every 417 residents) and any decline in quality or effectiveness could lead to rapid rises in the acquisitive crime rate. 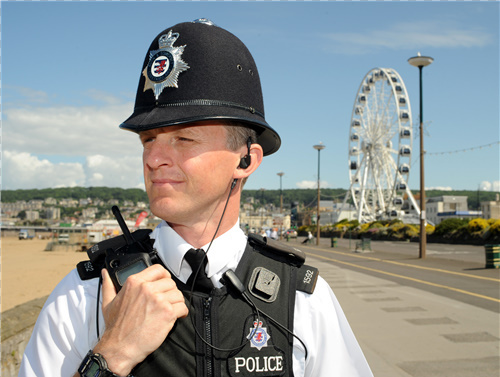 Equally, the recent and continuing changes to policing, healthcare and Council services, both locally and outside the Avon and Somerset policing area, mean that the successful processes and structures which have underpinned our progress could easily (although unintentionally) be eroded unless focus is maintained and the highly-successful Community Safety Drug Action Team (CSDAT) is kept up to date, fresh and properly resourced. Weston’s night-time economy is a major contributor of jobs and investment in the town centre, but poses particular problems for local residents and police for short periods, typically late on Friday and Saturday nights. The physical environment and demography of the area is already changing, with redevelopments underway or planned for Dolphin Square, the Sovereign Centre, the old magistrates court and police station and new teaching and student accommodation at Weston College. We need to ensure that the new town centre residents, and potential investors considering building or doing business here, find it an attractive place to live and work; that means it must remain lively and interesting, but also safe and welcoming as well. There have been significant changes, for example to the way local licensing decisions are taken and enforced, but they have been relatively less successful than the measures addressing Drug-Related Crime I’ve mentioned above. This remains a problem for the community and local police alike, and needs renewed focus and a fresh approach as we need to make more progress in this area.